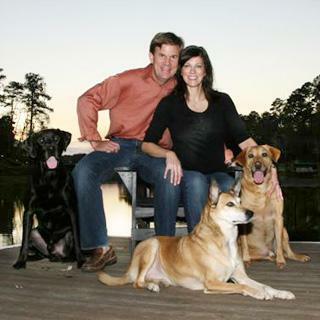 Brian Quinn first arrived at Lake Oconee as an aspiring professional golfer in 1991. As a native of Atlanta, he was instantly attracted to the to the great convenience Lake Oconee had to all the wonderful things Atlanta (along with Athens, Augusta and Macon) offered but he was overwhelmed with the splendor and beauty that is Lake Oconee. Of course it didn't hurt that Lake Oconee ("the Pinehurst of Georgia") boasted 8 of the best golf courses you could find in one small but beautiful part of the United States. In 1999, after coming up short one too many times at the 2nd Stage of PGA Tour Qualifying School, Brian put down his clubs and began his career in real estate with Reynolds Plantation. Over the next 10 years, he became one of the top producing agents in the history of Reynolds Plantation and the rest of Lake Oconee. Brian's knowledge of the many golf communities of Lake Oconee and the rest of the lake area is without compare. It's what comes with the expertise gained after years of experience and innumerable transactions. With the knowledge and experience you demand and the quality of service you deserve, Brian will provide you with the comprehensive skills and unparallel commitment you need to help you realize your real estate goals. Whether you are buying or selling real estate in Georgia's most desired address of Lake Oconee, your search for a Realtor begins and ends with Brian Quinn.